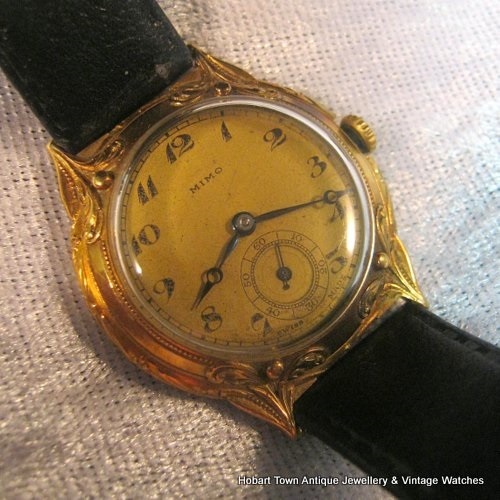 This Antique wristwatch is a genuine Museum Grade Early Mimo ~ Girard Perregaux Stunning Gents Vintage Wristwatch and off the Richter scale of wristwatch rarities! 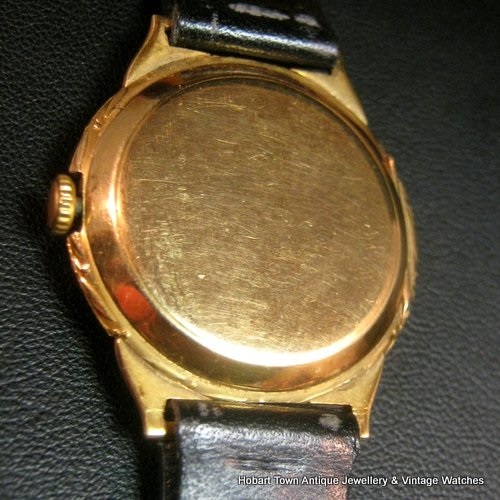 This listing is for a Genuine “off the Richter scale of rarities” Museum Grade Early Mimo ~ Girard Perregaux Stunning Gents Vintage Wristwatch! 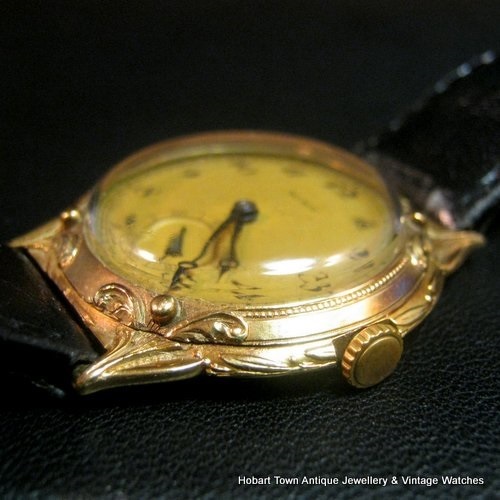 This 18ct gold Art Nouveau gents wristwatch is exceptionally rare and a genuine museum grade piece that should be in a museum for early wristwatches or more specifically as a truly rare example of an rt Nouveau transitional watch , graduating from pocket watch to wristwatch. 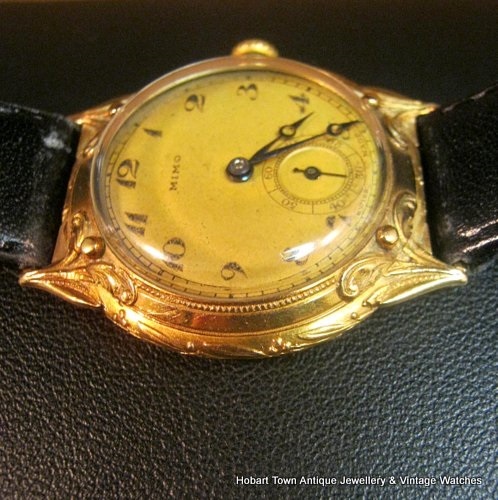 Quality Gents wristwatches , from the late 1890’s – 1910 period , with a very strong Art Nouveau designed case are exceptionally rare. 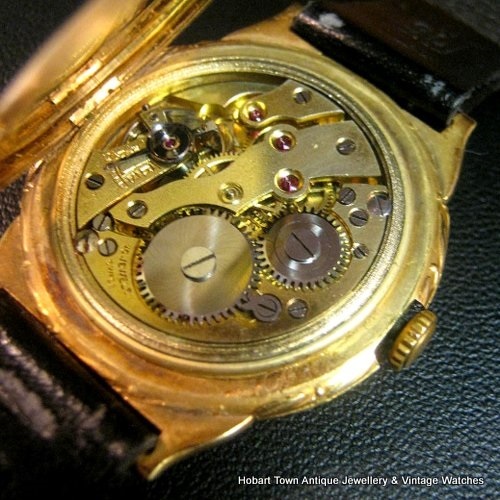 Much more so when made by a major Swiss company and in 18ct gold ! 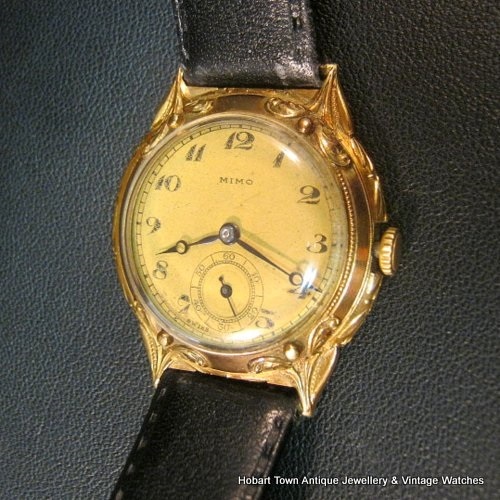 Although made for the mens market , there is no reason at all why in 2018 this beautiful time piece cant be worn by any gender! 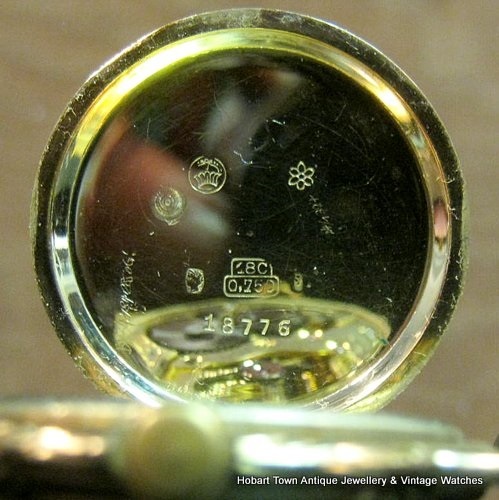 Beautiful original dial , handsome Begeut Arabic numerals and hands … all original and spot on. 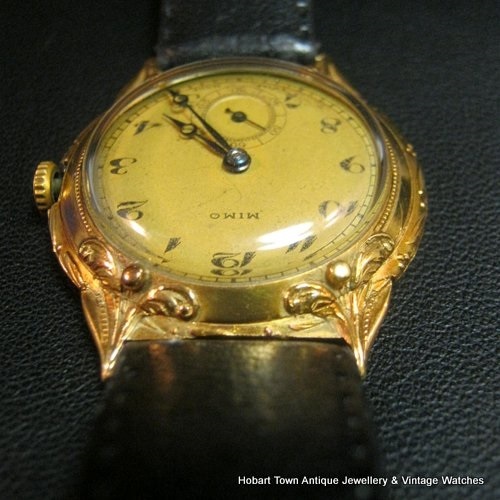 The solid 18ct gold case is a hinged back case , ala pocket watch style and in age related perfect condition with zero dents or scratches etc! 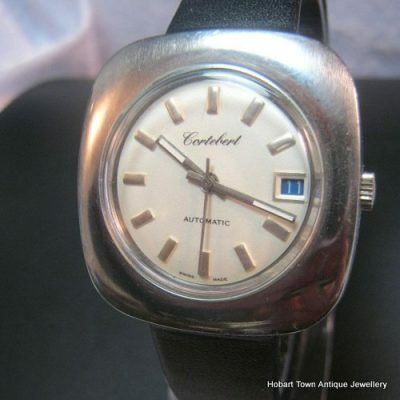 I would never expect to see this watch/model again , unless in a major publication / reference book on either the transition of pocket to wristwatch Or a full expose` on Girarrd Perregaux watches of the 19th and 20thC’s. 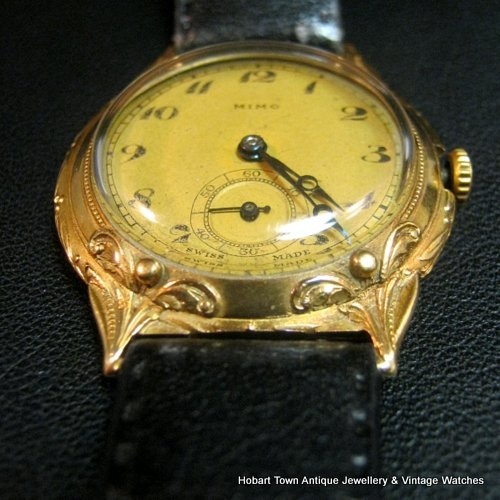 At approx; 33.5m this exceptional piece , amazingly remains in original condition! 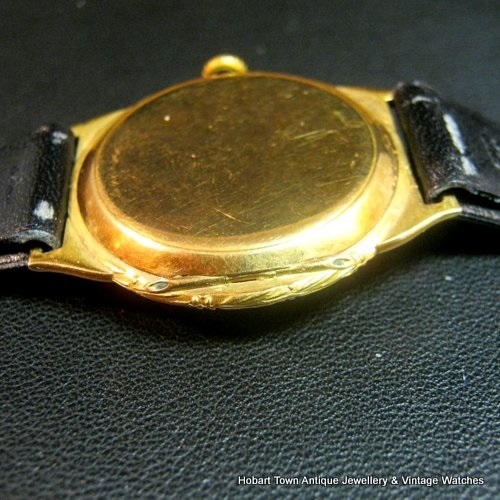 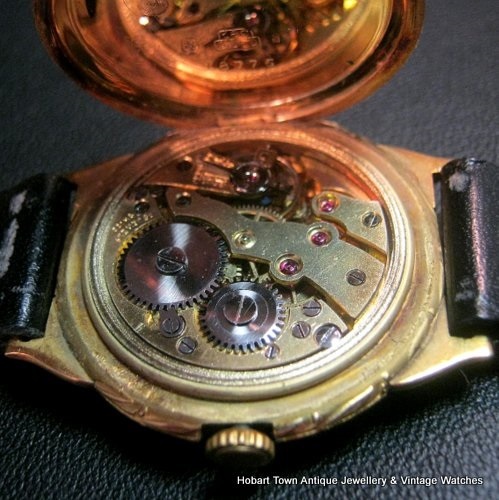 It is also one of the very very small % of wristwatches that can accurately be called an antique wristwatch , dating to well over 100 years of age …… at c.1900. 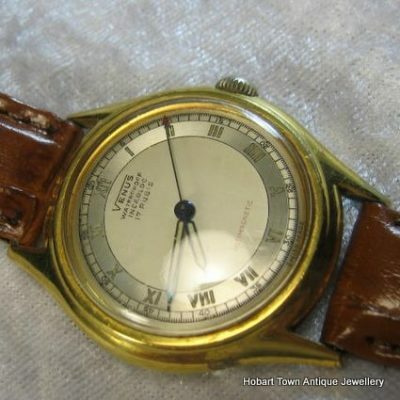 Even though au$4,650 is not ‘small change’ to most people , the price of this watch is literally on the verge of “being a bargain” and if you may doubt that , spend some researching Girard Perregaux watches and especially vintage 18ct gold G.P.’s and then ‘place’ this Uber rare watch in it’s ‘correct pecking order’ .. the place in wrist watch history elevates this handsome watch to the very top shelf of the rarity cupboard! 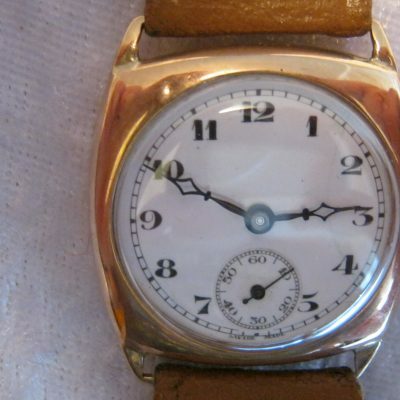 This stunning Museum Grade Early Mimo ~ Girard Perregaux Stunning Gents Vintage Wristwatch is running as good as it looks and I never expect to own the same model watch again , it is truly exceptionally rare. 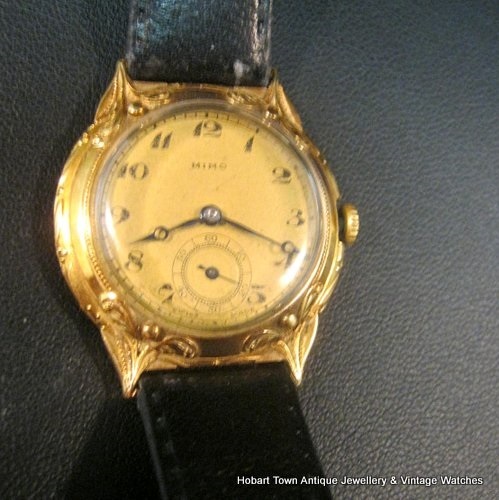 Please feel free to email if you have any questions regarding this superb Museum Grade Early Mimo ~ Girard Perregaux Stunning Gents Vintage Wristwatch and we will reply promptly.